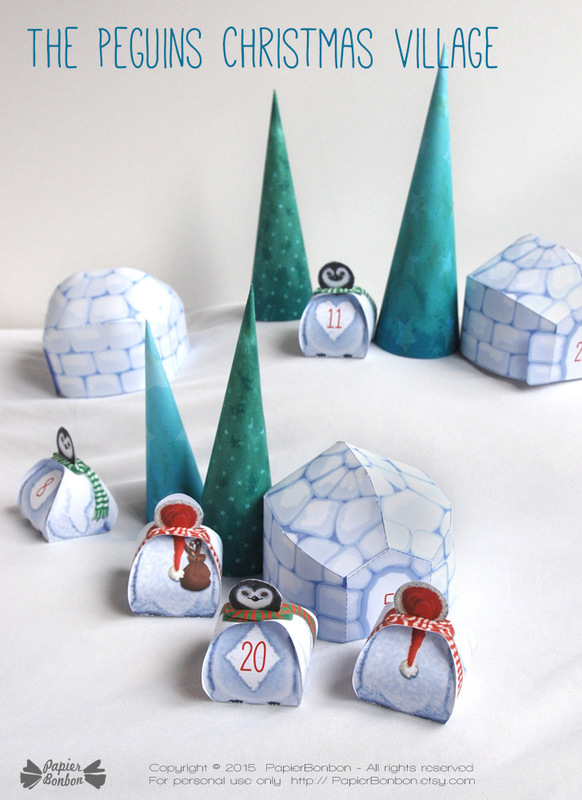 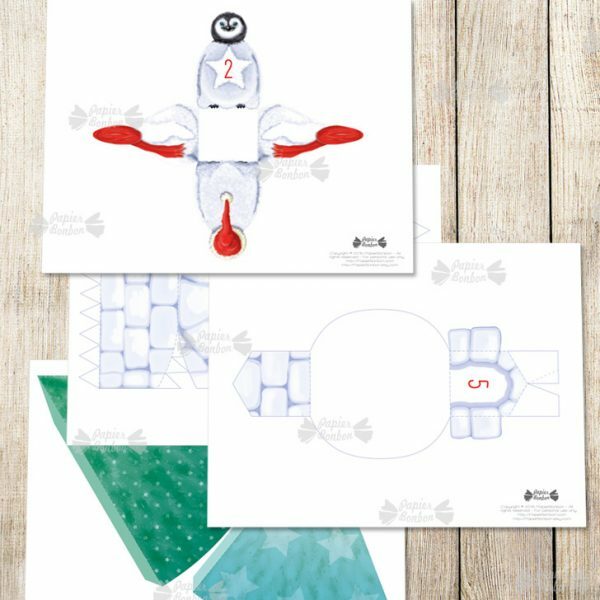 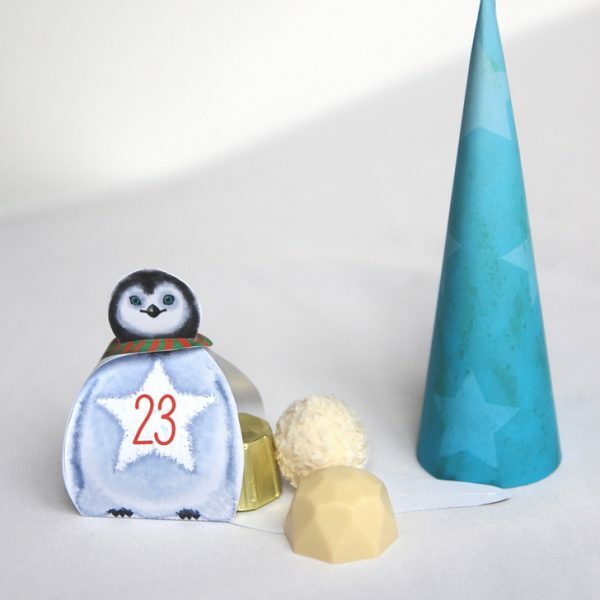 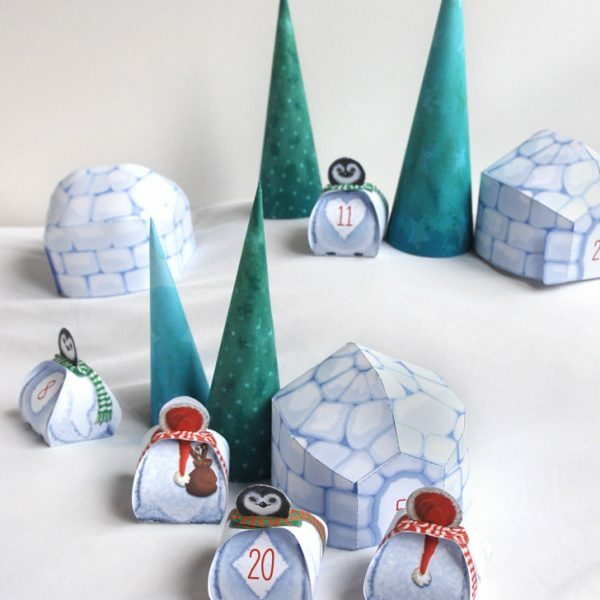 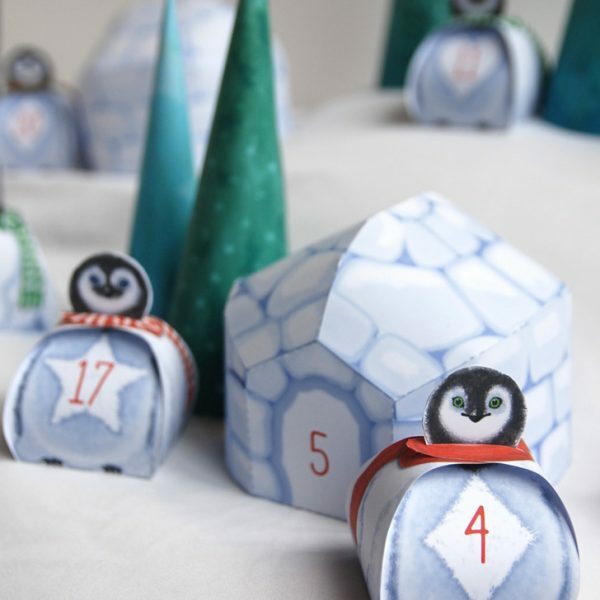 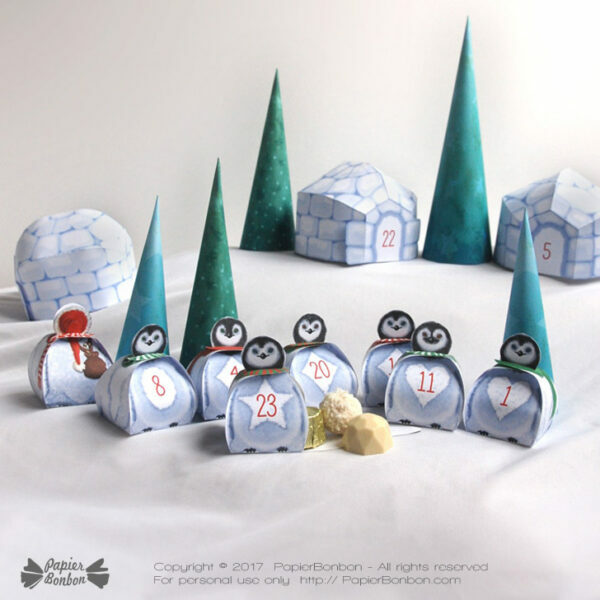 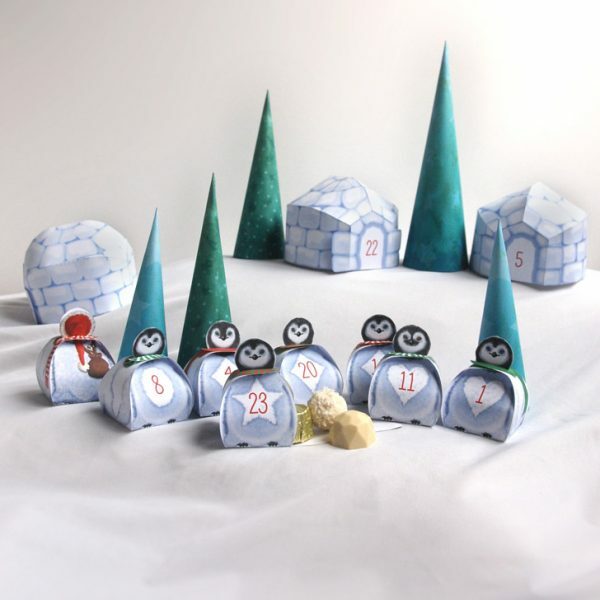 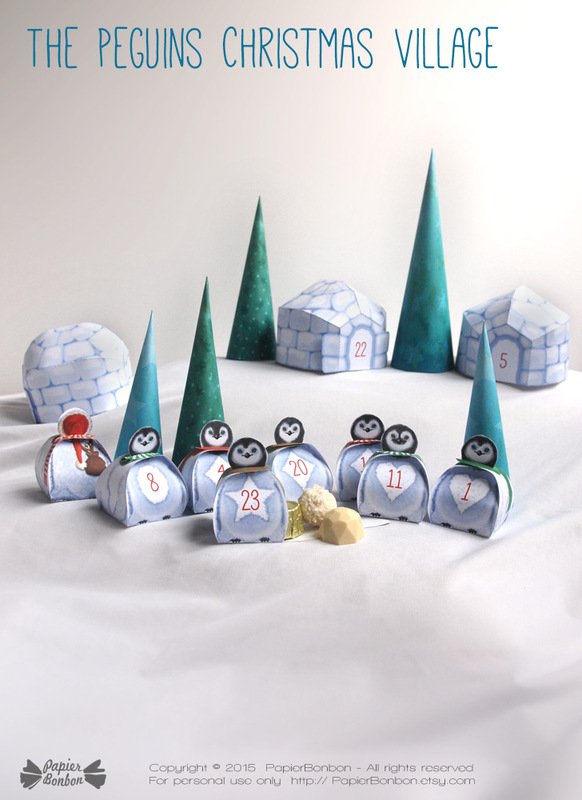 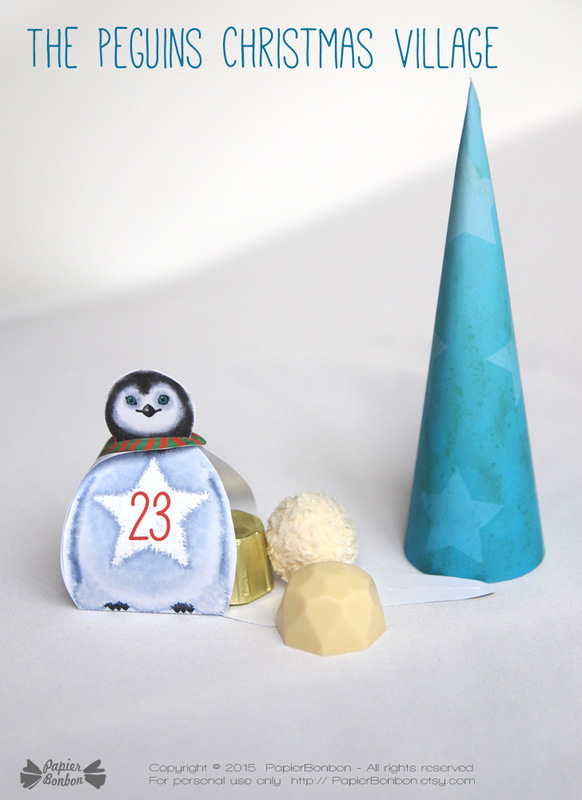 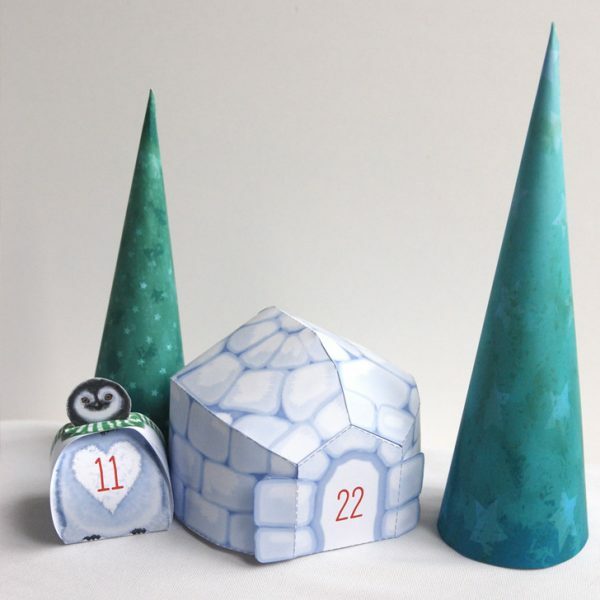 Print & create a lovely Advent Calendar in the shape of a Penguins Christmas Village in the North pole. 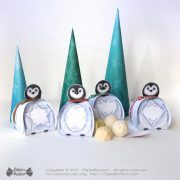 What if Santa Claus was not getting help from elves to prepare Christmas but from his next door neighbors, the penguins ? 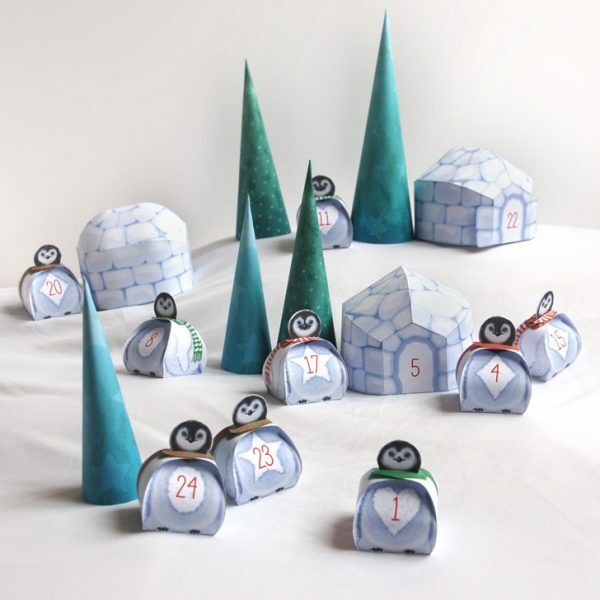 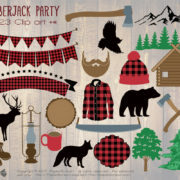 Discover 19 different penguins, their village made of igloos and nice pine trees. 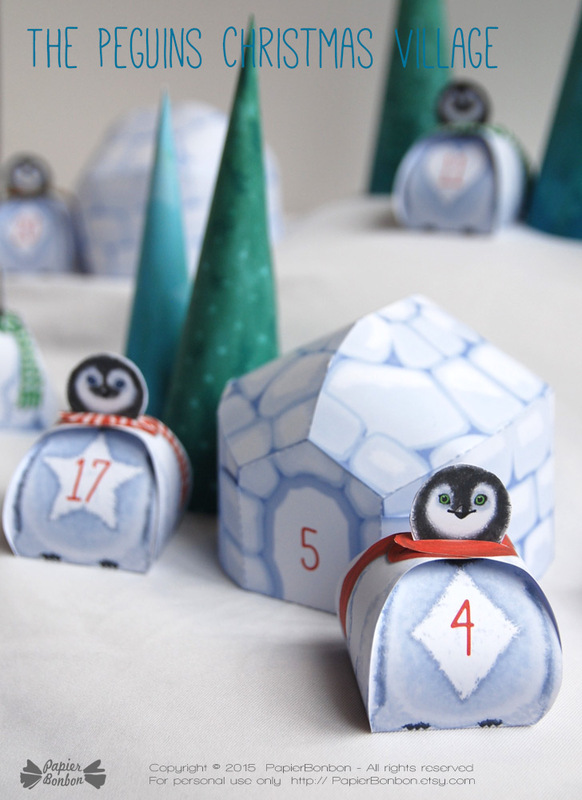 This advent calendar will make a fabulous Christmas countdown. 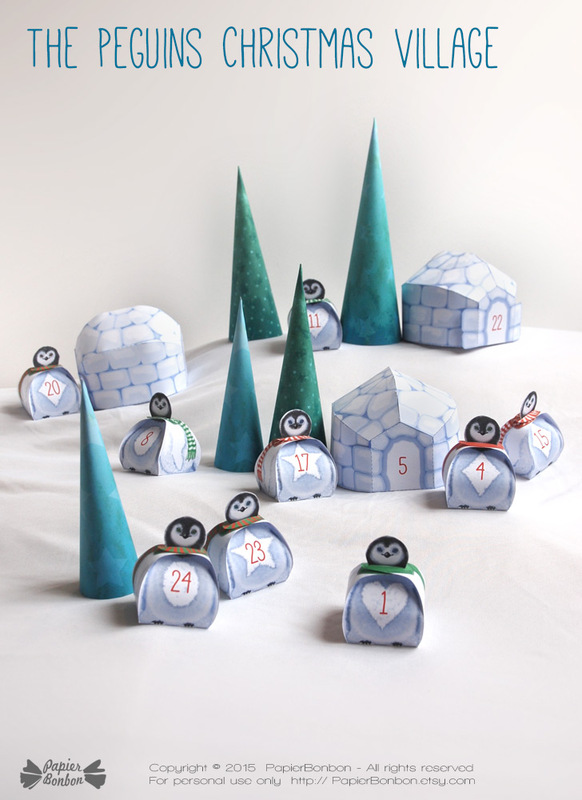 There are 19 cute penguins boxes and 5 igloos boxes for a gift each day from the first of December to Christmas. 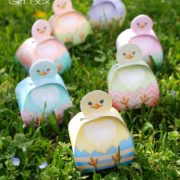 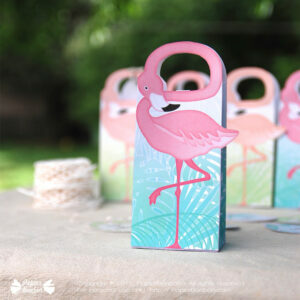 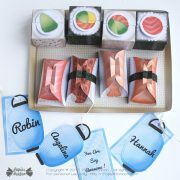 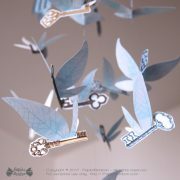 You can fill them with chocolates or small gifts. 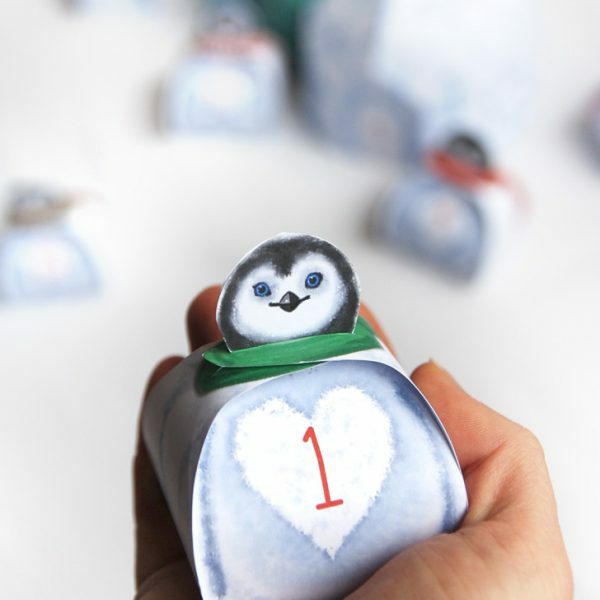 Each penguin is unique. 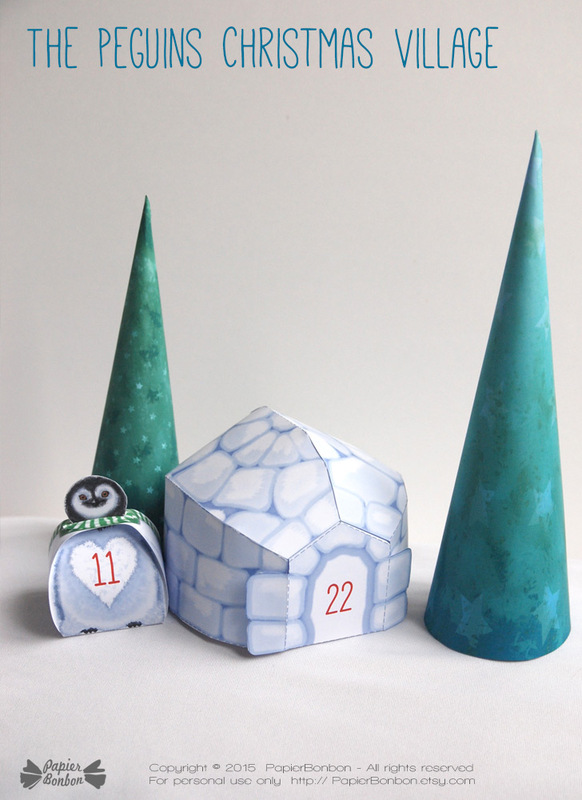 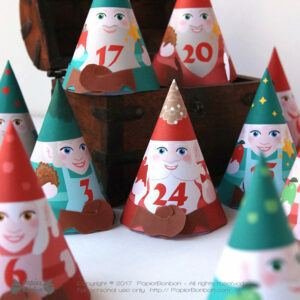 The Advent calendar is delivered with three extra Christmas trees so you can print as many as you want to create your Christmas decor. 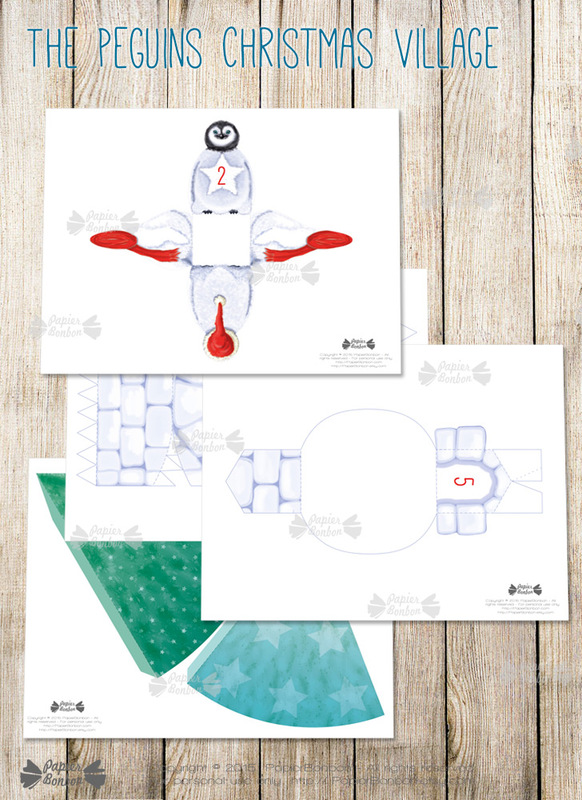 IMPORTANT NOTE: This is not a physical product; it is a digital download item. 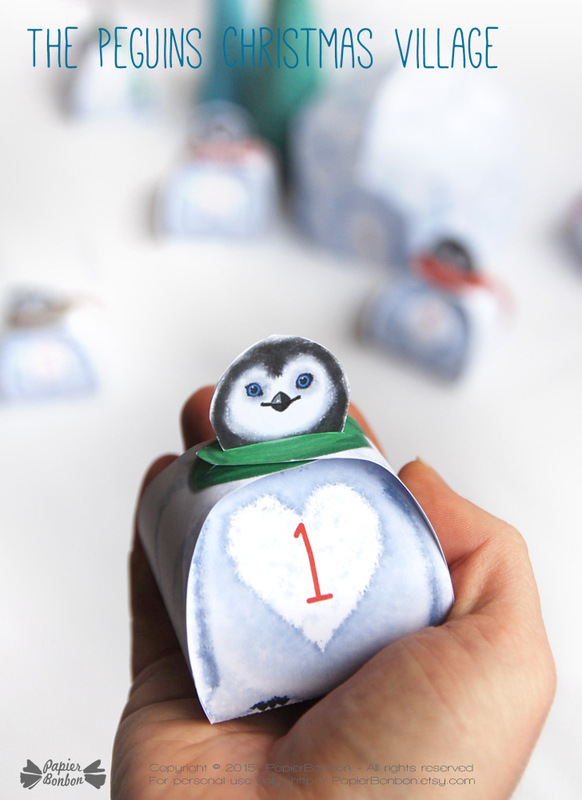 You will not receive anything by mail/post.